Zara is introducing a whole new level of tech to its retail stores by integrating them with its booming e-commerce services. Soon customers will be able to forgo the cost of of shipping as well as waiting for delivery by picking up their online orders at the Zara flagship store in London. The high-street retailer is expanding its store to include a warehouse manned by a robot that can locate 2,4000 packages and drop them into a collecting mailbox simultaneously after shoppers scan their order’s QR code. 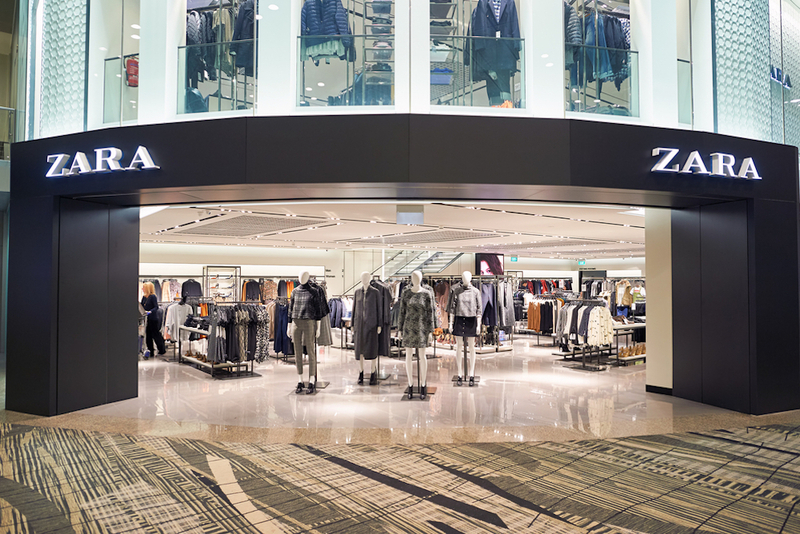 The expansion is set to be complete in May, but in the meantime the Inditex-owned brand has set up a pop-up store in London’s Westfield Stratford shopping center exclusively for ordering and collecting online purchases. According to RIS News, the company has already turned thousands of its stores into online pick up points, 85 of which are in the U.S. The move is definitely making the connection between a growing e-commerce market and a dwindling brick-and-mortar retail landscape. “Another milestone in our strategy of integrating our stores with the online world, which defines our identity as a business,”said the chairman and CEO of Inditex, Pablo Isla in a press release. Zara and similar brands like H&M and Mango make fashion accessible with reduced prices as well as having a constantly changing stock, so the efficiency and speed of the robot add a new dimension to fast fashion, distancing it even more from more traditional retailers and boutiques. Though there’s still room for both types of stores, as they address different consumer needs, according to Forbes, fast-fashion chains like Zara are hurting traditional retail: While exclusive and luxury designer brands remain solvent, it’s stores like Macy’s and Bloomingdale’s have been losing part of their usual share. The use of a robot seems to be a sign that cheap and chic is here to stay, and may make an even bigger splash in the retail pool. Will regular brick-and-mortar stores with normal season cycles and higher prices be able to retain their share of the market in a world increasingly driven by e-commerce? Perhaps they may have to take some advice from Zara and similar retailers.